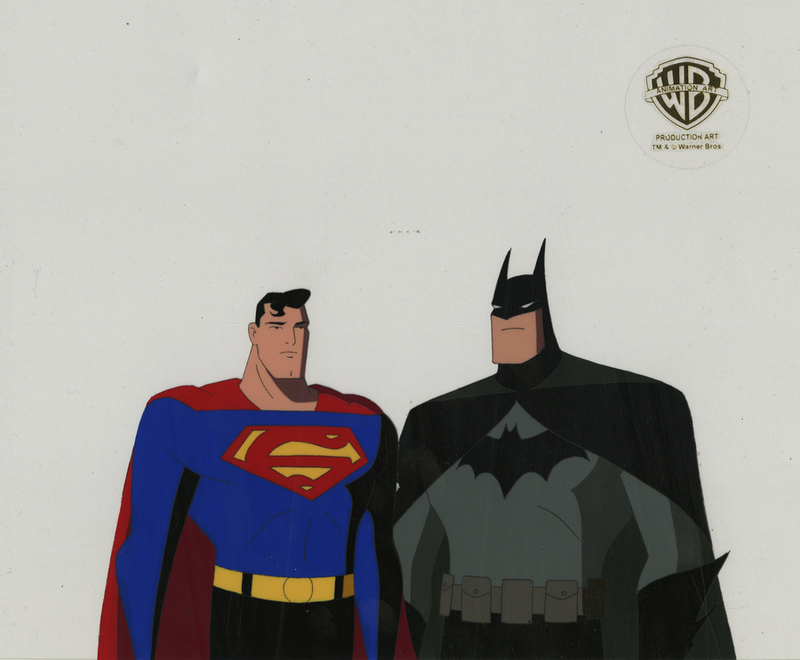 This is an original production cel from the Warner Bros. Studios production of the 1999 New Batman Adventures episode, The Demon Reborn. 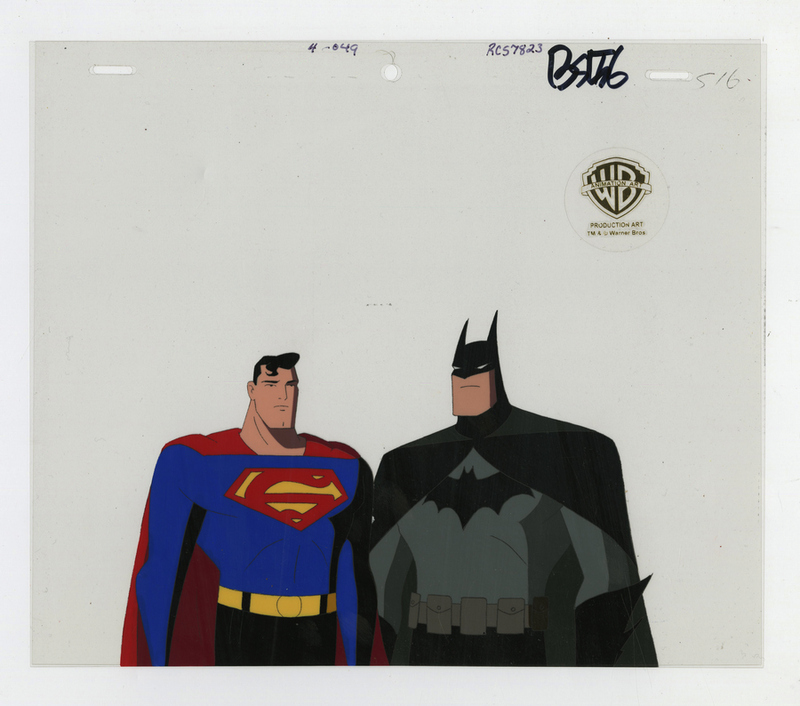 This hand-painted cel features Batman and Superman standing together, and was created at the studio and used during the production of the episode, representing an actual frame of animation that was photographed and appears in the cartoon. The overall measurements of the piece are 9" x 10.5" and the image itself measures 5" x 7.5". This cel is in great condition. This piece comes from the studio's art program and before it can be delivered will go back to the studio to receive a studio seal, COA, and reproduction background. This piece may take 3-4 weeks for delivery due to this process.